Incoming Freshman Ranger Football Information Night. Thank you to all those upcoming Freshman and current player parents for attending. We appreciate your time and support to your athlete and the program. 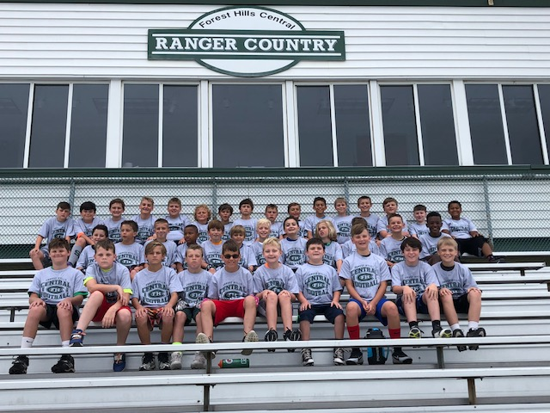 2018 Ranger Football Youth Camp! 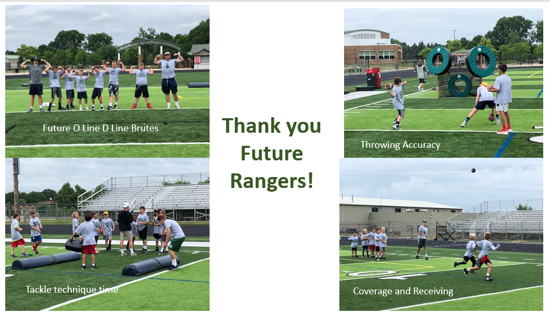 Thank you to all that participated in Ranger Football camp. Welcome to the Forest Hills Central Ranger Football Site! If you are not already a member, please click on the 'Become a Member' tab in the upper left corner of the site to join today! Once you are logged in, you can update or add emails in your account settings for future messages from our coaches and boosters. You will not get messages from the coaches or team parents unless you are a member of the site! to get schedule and messaging information! You can follow Varsity, Jr. Varsity, and/or Freshmen schedules, games and alerts your phone. Get the Sport Ngin App and enable the push notifications feature. Team ID's are: Varsity 1028373, JV 1028376, Freshmen 1028380. ©2019 Forest Hills Central HS Ranger Football / SportsEngine. All Rights Reserved.